This post is part of a series of posts covering topics related to CAGJ’s new book, “Our Food, Our Right.” The author, Meagan Nelson, is the Publicity Coordinator at Community Alliance for Global Justice and has a background promoting liberal causes, working in communications and outreach on campaigns for Seattle City Councilmember Jean Godden, Washington State Governor Jay Inslee, and President Barack Obama. Nelson is studying Communication, Law, Economics and Government at American University and aspires to make the sustainable food movement and its related health and environmental benefits an active political issue in American lives. Do you want to start living a healthier lifestyle, but aren’t sure about the right way to start growing a vegetable garden? Well, here are some tips and other feedback from Our Food Our Right contributor Lisa Taylor to maximize the productivity of your vegetable garden! Lisa Taylor explains that the four essential keys to good, healthy soil are sun, air, water, and food. Location is key. Pick a place that has eight to ten hours of sun per day in an area away from trees and roots. Put your veggies in a place where they have access to at least 1.5 inches of water and buy a rain gauge to track water needs. 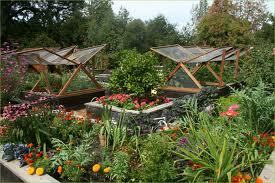 Finally, plant vegetables in early spring once the soil begins to warm. They include “lettuce, spinach, collard greens, Swiss chard, carrots, turnips, and cilantro, among others. Warm-season vegetables, which can be planted outside after the last spring frost date, include tomatoes, basil, eggplant, peppers, beans, corn, and cucumber, among others. Typically the soil must be at least 55 degrees F before planting warm-season crops” (1). 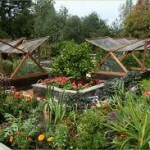 Click here for more information about vegetable gardens and learning how to grow them the right way! Posted in Food Justice Blog Posts, Our Food, Our Right, Uncategorized.